When I was growing up I can’t remember anyone talking about non-toxic containers for lunches and food storage. However, we now know how dangerous plastics can be for our hormones, especially when microwaved. BPA often comes to mind, but other toxins may still be present in plastic, which are just as dangerous to our health. Luckily there are many safer options available now. You can find containers made of stainless steel, glass and safer plastic that doesn’t contain BPA, Lead, Phthalates, and PVC. Although they often cost more they do last longer and can often be recycled. I think this is a better investment in our health and the planet. One dilemma I did come across when researching containers and also lunchboxes is that most weren’t microwave safe. I don’t use a microwave at all. I actually have a small oven instead of a microwave at home. However, my partner does use the microwave at work, as much as I tell him not to. I try to prepare meals that don’t need to be microwaved or but sometimes he just doesn’t want to eat his meal cold. We use round Pyrex glass containers or Decor glass containers with BPA-free air vent lid. When possible he doesn’t use the lid. However it is a difficult situation when using a shared microwave, so I always make sure the food isn’t touching the top. A product that was recommended to me by a store assistant at Biome is the Charles Viacin Lilypad lids. Unfortunately, I haven’t convinced him to take one of these to work. They are made of silicone and are microwave safe and BPA Free. From what I have read on this subject BPA free, food grade Silicone (often used in bakeware) has no definitive studies proving that it is unsafe. Plastics, on the otherhand has counterless studies proving that they are very dangerous to our health and the planet. I would love to know what you think? I guess my conclusion to this research is to continue to use and purchase these safer non-toxic lunch box alternatives, use glass for reheating, thermal for warm foods (that will be eaten within the hour) or cool food and where possible prepare foods that don’t need reheating. If your interested in some lunchbox meals that don’t need to be reheated here are some great ideas from 101 Cookbooks , Oh She Glows and Buona Pappa (for the little ones). For more lunch products you can buy in Australia, check out my article Non-toxic Lunch Bags and Lunch Boxes. If you have any thoughts or recommendations feel free to leave a comment! Free of BPA and Phthalates and toxins. Free of BPA, Phthalates, Lead or Lead Safe. Meet current CPSIA standards. Free of BPA, Lead, PVC and Phthalate. Features: Perfect for soups, pasta, yoghurt, fruit and more; Vacuum insulated stainless steel keeps food hot for 6 hours or cold for 7 hours; Easy grip leak-proof lid; BPA-free, will not leach harmful chemicals; Silicone soft grip base helps insulate against dropping on hard surfaces; Top rack dishwasher safe; Suitable for age 4 and over. Dip Condiments Features: set of three leak proof 1.5-ounce containers; ideal for dips and sauces; Easy to open and close;. Small enough to fit in all LunchBots containers; Made of the highest quality 18/8 stainless steel, easy to clean, and virtually unbreakable; Dishwasher safe, resists stains and rust, and lasts forever. 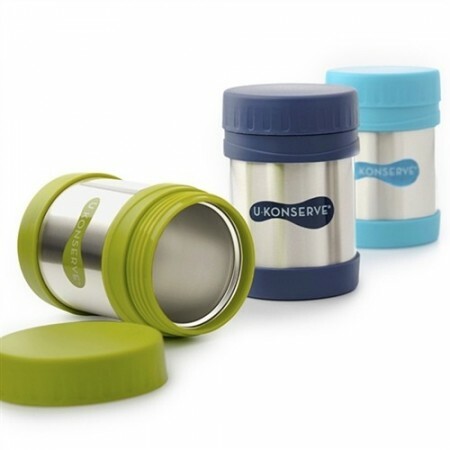 Clicks Features: 18/8 all-stainless steel base; plastic lid available in 2.5 and 4 cup; 18/8 stainless steel-lined BPA-free lid available in 3, 4 and 6 cup; Completely leak proof and far lighter and more durable than glass; Easy to clean and dishwasher safe. Free of BPA, Lead, PVC and Phthalate. Our silicone conforms to U.S. FDA and Europe’s stricter LFGB standards, and is safe from toxic chemicals. Rover Lunchbox comes with 1 Big and 1 Little Dipper included. The Shuttle Lunchbox and Launch Lunchbox comes with 1 Tall Dipper included. For more Plastic Bento-Style Lunch Boxes check out these products from Non-toxic Lunch Bags and Lunch Boxes. Free of BPA, BPS, Lead, PVC and Phthalate. All materials are FDA approved. Features:Scratch, stain and odour resistant tempered glass; Watertight and airtight lid with integrated silicone seal; Easy to open and close snap lock lid; Tempered glass is five times stronger than normal glass – designed to go through temperature extremes, if broken it shatters into pebble pieces rather than shards, lasts longer and does not become fragile with use; Microwave safe without lid (remove lid before microwave use); Dishwasher safe; Freezer safe. Features: Protective silicone sleeve provides a non-slip gripping surface and helps prevent breakage; Dishwasher safe (place cap on top rack/no need to remove silicone sleeve); Includes polypropylene (PP#5) cap; All components made in the U.S. or Europe; Product assembled in the U.S.
Coordinates with Jetpack Backpack, Carry Bag and Shuttle Carry Bag. Free of BPA, Phthalates, Lead and other toxins. Features: All plastics used for Thermos Foogo stainless steel bottles are BPA free; Double wall vacuum insulation for maximum cold temperature retention. Foogo® products keep foods and beverages safer and healthier longer; The vacuum-insulated stainless steel interior and exterior is non-reactive to all food and beverages; Spill-proof and hygienic push-button lid prevents messes and is easy-to-clean; Soft silicone straw is easy and comfortable to sip; Plastic components made from BPA free polypropylene (PP#5); Kid-proof design. Unbreakable stainless steel interior and exterior withstands daily wear and tear; Dishwasher safe; Exterior stays condensation free; Non-slip, scratch resistant base; Keeps beverages cold for up to 12 hours. For cold contents only. Free of BPA and Phthalates. Free of Lead or Lead Safe. Meet current CPSIA standards. 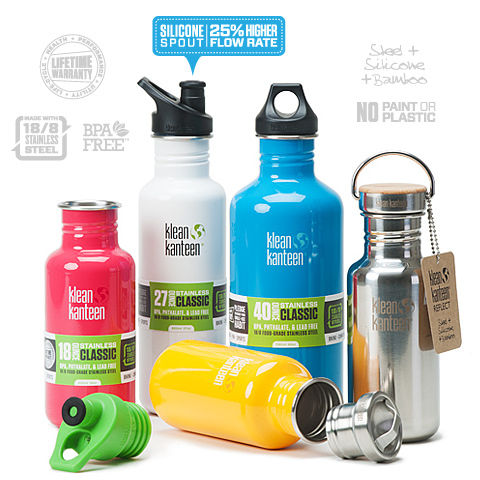 Features: Comes with two lids: flip top sports lid and standard screw top carabiner lid; safe for fruit juices and energy drinks, Not suitable for carbonated drinks; All tops are leak-proof, replaceable and interchangable; Screw caps and insulated pouches are also available to purchase separately; Single wall bottle is designed for cold liquids only; Premium Grade 304 (18/8) Stainless Steel; BPA – free lid. 500ml size. Features: Ice pack is made of a non-toxic sodium polymer; Cover made from 100% recycled plastic bottles. This cover protects lunch items from condensation.Fits perfectly on the bottom of Kids Konserve’s waste-free lunch bags to keep your lunch cold for hours. Coordinates with UKonserve Lunch Bags. Features: Removable inner ice pack filled with water and non-toxic cellulose gum; Sweat free cover keeps lunchbox cold and dry. Coordinates with SoYoung lunchbox and large cooler bag. Features: Filled with purified water; Goodbyn Ice is made to last, 100 percent recyclable; designed to go next to the containers, inside the insulated bag; Hand washable with mild detergent. Coordinates with Goodbyn Insulated Bags, which have an interior pocket to fit. Free of BPA, Phthalates and Lead safe. Made entirely of FDA-approved materials. Coordinates with Goodbyn Insulated Lunch Bags. 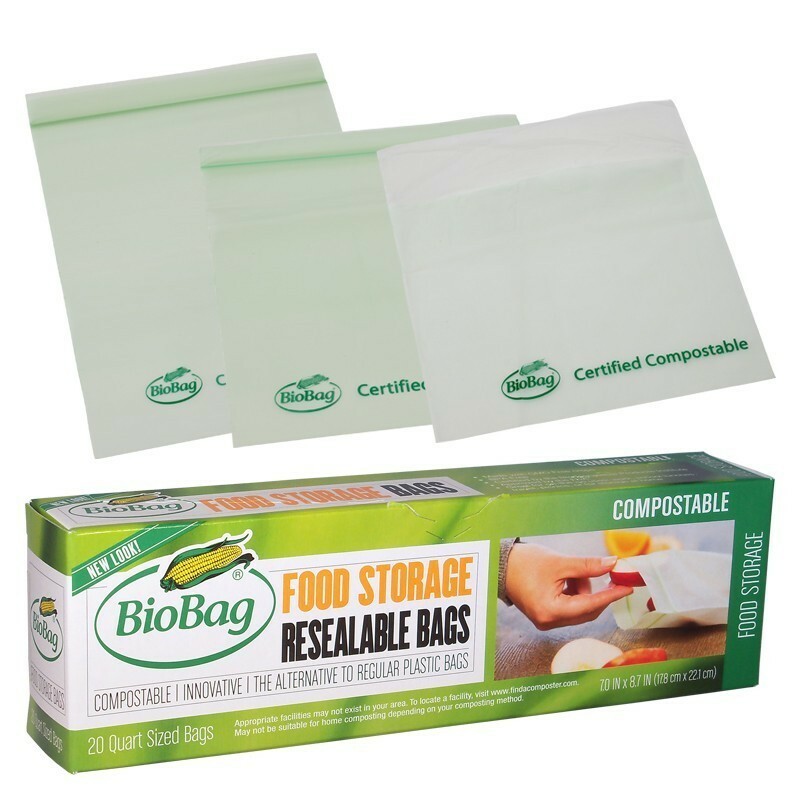 Features: Made with non-toxic food-safe materials, BPA Free Plastic; Recyclable at the end of its life; Contains saline water which freezes at a lower temperature than water and stays frozen longer; Slim design is economical on space; Place one or mor Icewalls in your insulated cooler bag to keep your lunch cool for hours; Wipe clean with a wet cloth; Not dishwasher safe. Free of BPA, Lead, and Phthalates. Food Wraps Features: Great alternative to plastic wrap; With the warmth of your hand the wax will enable you to wrap up your food easily. Then pop in the fridge, or lunchbox or wrap your homemade bread; to clean just wipe down with a cloth and soap under cold water, Then wipe down to dry, Due to the wax surface residue is wiped off very easily. The perfect reusable food wrap; made from all natural ingredients such as organic cotton, organic beeswax from New Zealand, Manuka oil from New Zealand, jobaba oil and the precious New Zealand propolis. Lunch Bag Features: 100% cotton; Easy care – wash or wipe clean; Waterproof internal layer so food will not stick or stain the wrap. Free of BPA, PVC, Nylon, heavy metal & Phthalates. Free of chlorine, GMO, Fluorochemicals and Unbleached. Free of GMO and Polyethylene.